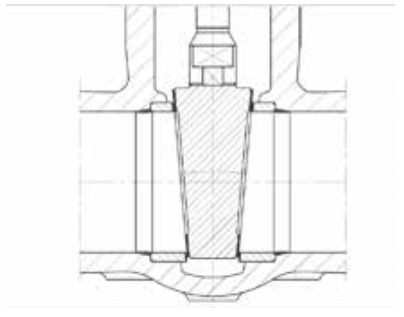 The wedge is made in one solid piece being the downstream side the one which seals the valve when upstream pressure push the wedge againts te downstream seat. 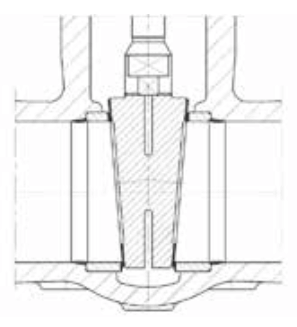 The wedge has a machined groove in its central part providing flexibility at the disc. The wedge is made in two separate parts providing high ability to seal. 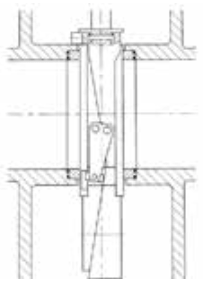 This is recommended when high thermal or mechanical deformations are expected due to working conditions. 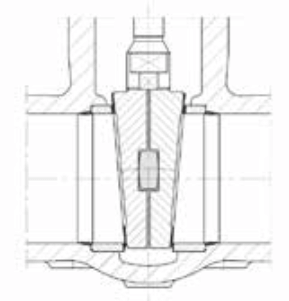 For those applications when large temperature variations are expected or fast shutt-off is required, this is the most ideal design. The seats are parallel and the disc has no contact with the seats during the stroke of the valve. Only at the end of the stroke the disc mechanism ensures the contact between seats and disc. 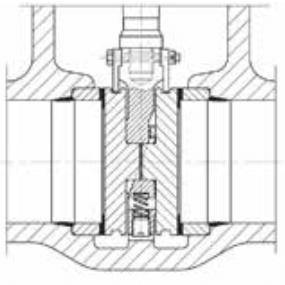 When full port gate valve is required or double block and bleed valve is mandatory this design must be used. 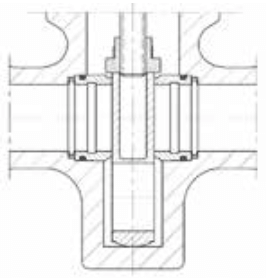 Through conduit gate valves are designed to API 6D or API 6A. These valves are pigeable and normally used for oil and gas application. Metal to Metal seated, double block and bleed are available toAPI6D&API6A.